A Medersa is a place of learning. 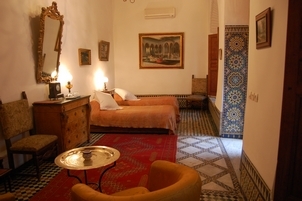 Our Medersa suite will let you feel the exceptional heritage of Fez where one can learn so much. 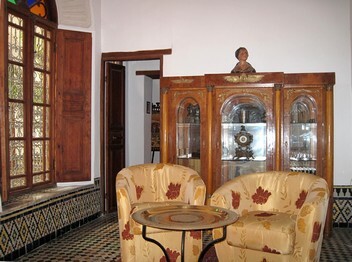 It is located on the ground floor facing the garden's door which is on the opposite side of the patio. 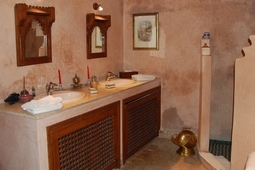 It has twin beds, and a bathroom with a shower and separate toilet. Possibility to add one or two extra beds.